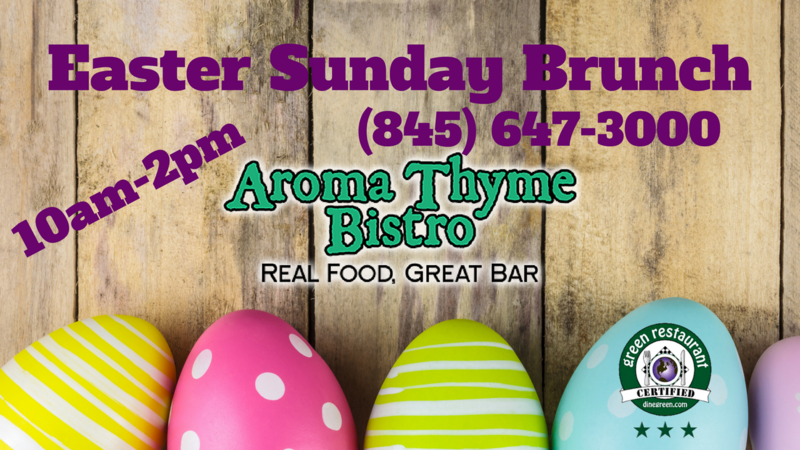 We always have something going on at Aroma Thyme Bistro. 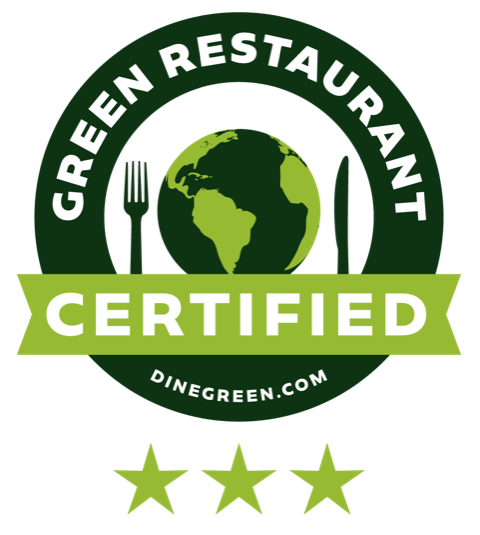 We host monthly craft beer dinners and wine dinners. Plus our annual wine & beer grand tastings, 99 Bottles, one for beer, one for wine. All Summer long our garden hosts Lobster Bakes, Crawfish Boils, All-You-Eat Mussels, Meet the Winemaker Evening, Cider tastings, Father's Day BBQ and more. And we have a do a Mother's Day & Easter Brunch. Stay tuned to this page for all kinds of great events. Father’s Day BBQ in the Garden & Belgium Beers. 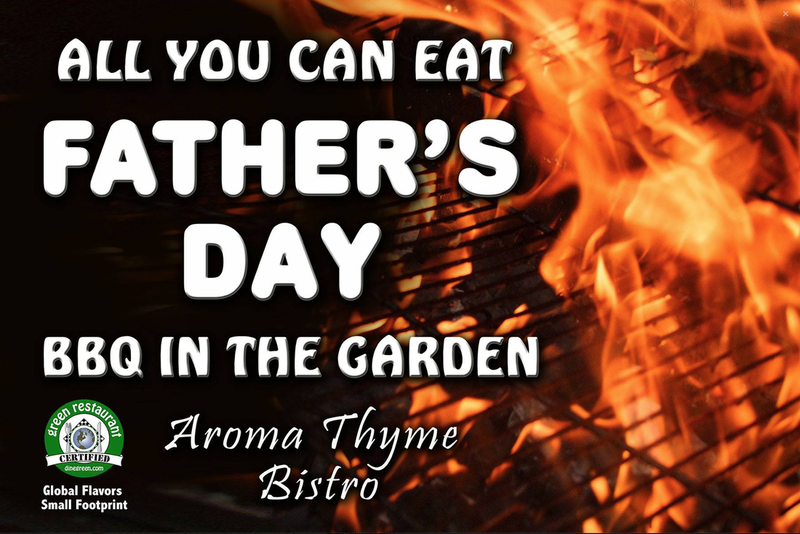 Don't stick Dad on grill duty- take him out for a delicious meal! Treat Dad to the Best BBQ and Best Belgium Beer on Father’s Day! We will be open from 10 AM- 2 PM for brunch.